USA Today unveils the first wave of Archie Comics' Dark Circle superhero launch of The Black Hood, The Shield, and The Fox <--which I'm collaborating on again with co-writer Mark Waid and colorist Allen Passalaqua. "The Fox has inadvertently annoyed a wealthy psychopath and a $1 million bounty has been placed on his head," he explains. "A rogues' gallery comes out of the woodwork on the eve of Patton's retiring of his Fox persona for a better quality of life: a pox The Fox cannot escape." Adds Kaminski: "This is a story about family, trust and what it means to be a 'superhero' in a day and age where real monsters are all around us." Not only can Haspiel and Waid unleash a truckload of entertainment, Segura says, they're two creators he's admired for over a decade. The mutual admiration carries over to his dynamic duo. Working with Waid is like collaborating with "The Comics Whisperer," Haspiel says. "He makes artists better writers,"
Similarly, Waid adds, "there is no world in which it makes any sense not to come to the table when Dean Haspiel invites you. As much fun as our first outing on The Fox was, this is even crazier and more adventurous. It's grim without being dark, it's fun without being childish — it's flat-out action-adventure meant purely to entertain." 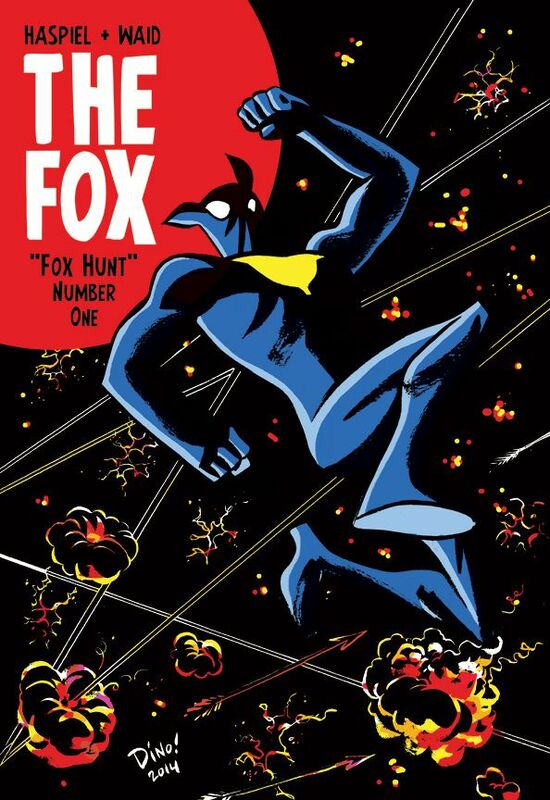 Kaminski puts it simply: "There never has, nor will there ever be, a comic-book series like The Fox. It's comics at its best, and that's the essence of what Dark Circle is all about." Den Of Geek Says: "As for The Fox, I fully expect Waid and Haspiel to build on the comedic heroics that made the Freak Magnet arc so memorable. USA Today has some exclusive images and more information on these books, all of which seem to be part of Archie's Machiavellian plot to overwhelm the comic industry with coolness. Damn, are these guys on a roll, or what?"